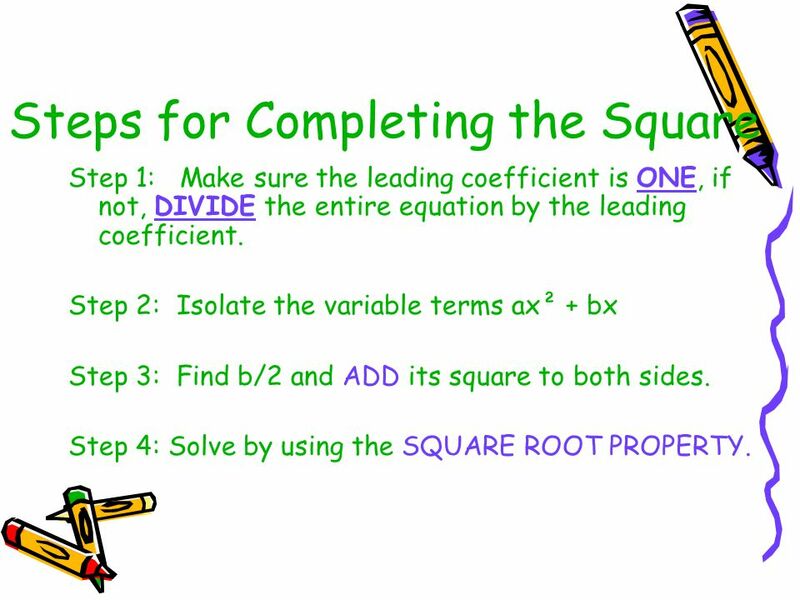 Objective: To solve quadratic equations by completing the square. 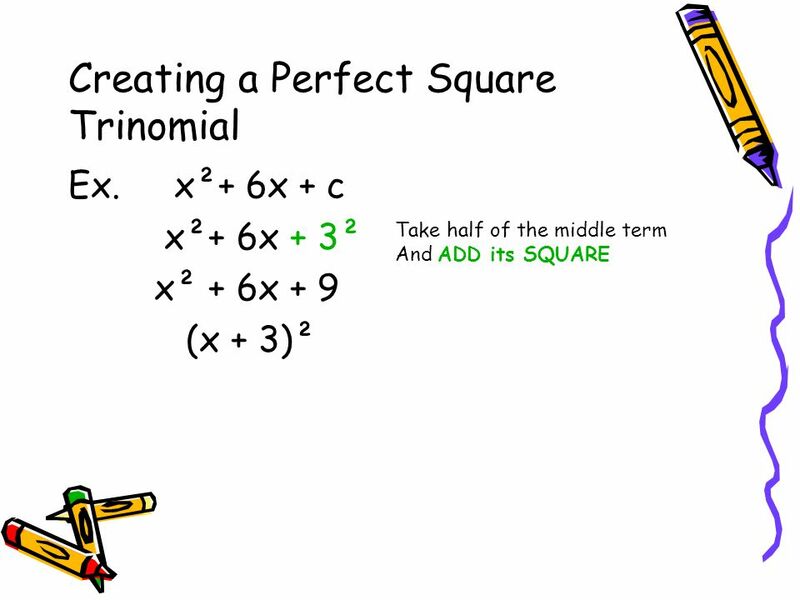 1 Objective: To solve quadratic equations by completing the square. 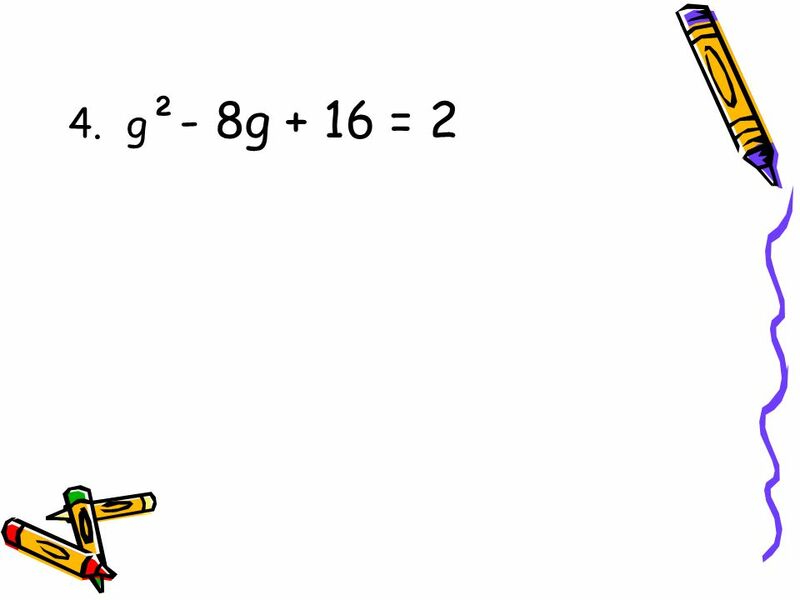 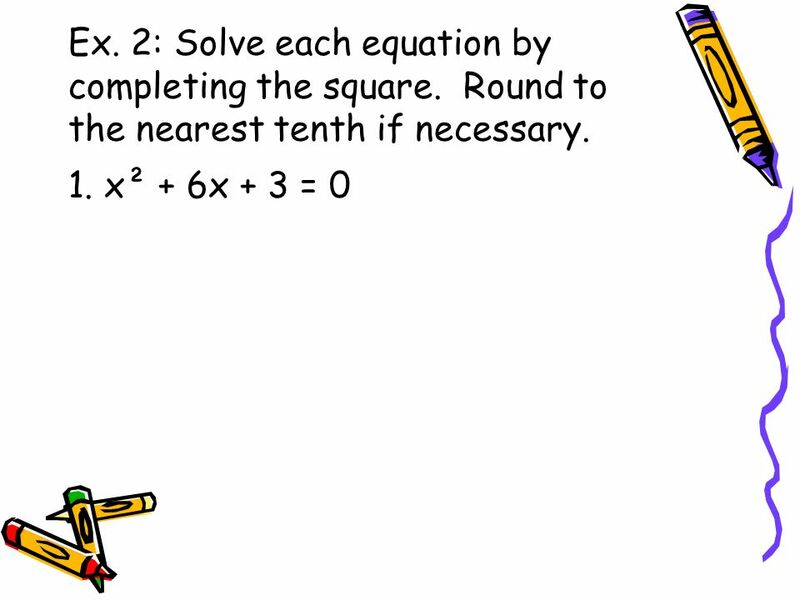 Lesson 10.3-Solving Quadratic Equations by Completing the Square, pg. 539 Objective: To solve quadratic equations by completing the square. 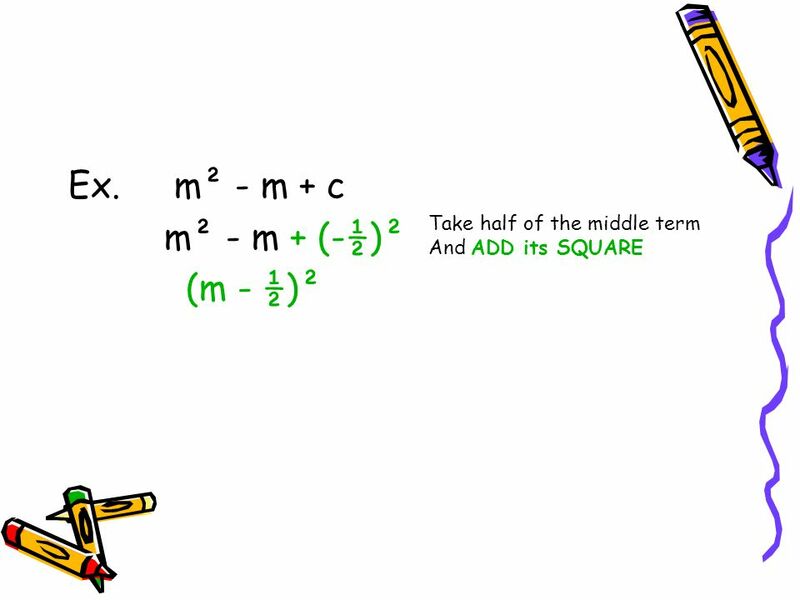 Some equations can be solved by taking the square root of each side. 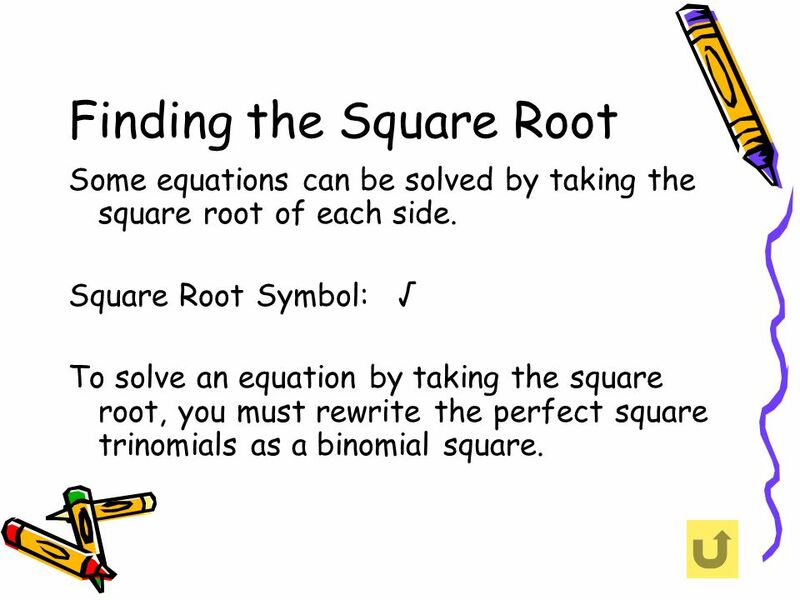 Square Root Symbol: √ To solve an equation by taking the square root, you must rewrite the perfect square trinomials as a binomial square. 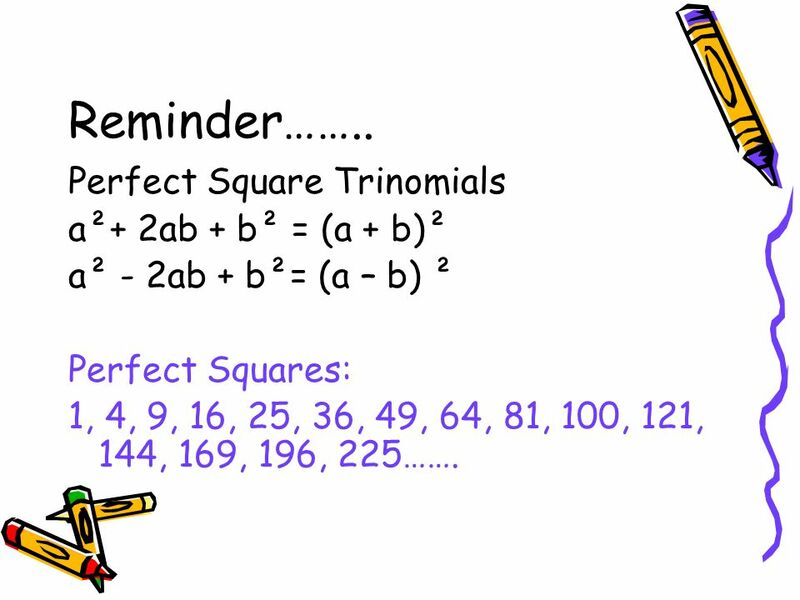 Perfect Squares: 1, 4, 9, 16, 25, 36, 49, 64, 81, 100, 121, 144, 169, 196, 225……. 10 Ex. 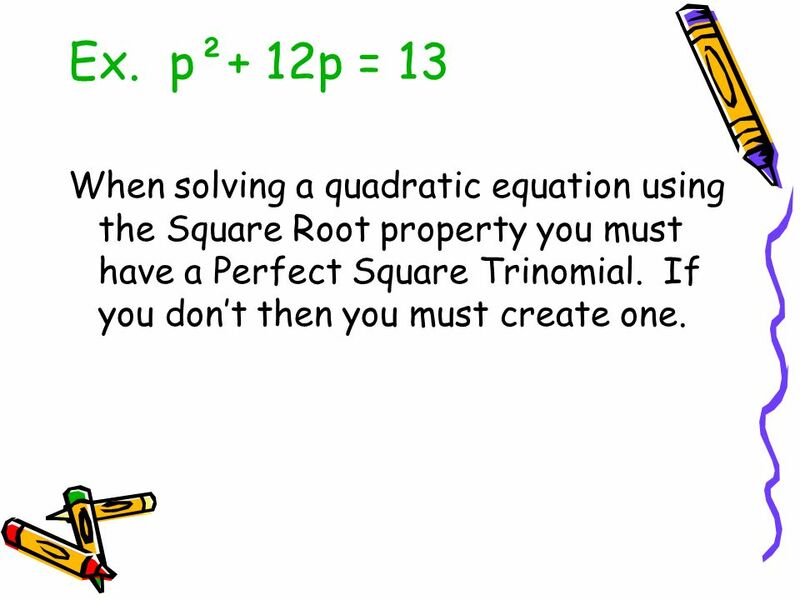 p²+ 12p = 13 When solving a quadratic equation using the Square Root property you must have a Perfect Square Trinomial. If you don’t then you must create one. Step 1: Make sure the leading coefficient is ONE, if not, DIVIDE the entire equation by the leading coefficient. Step 2: Isolate the variable terms ax² + bx Step 3: Find b/2 and ADD its square to both sides. 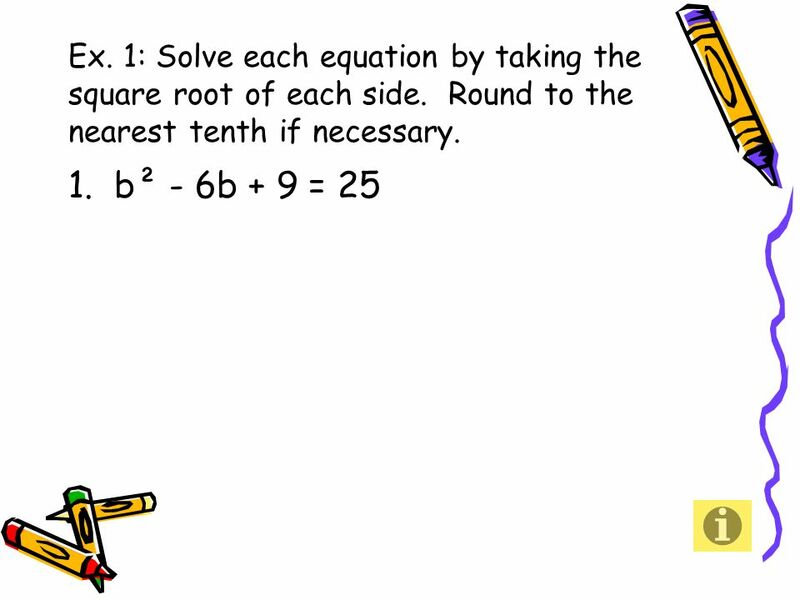 Step 4: Solve by using the SQUARE ROOT PROPERTY. 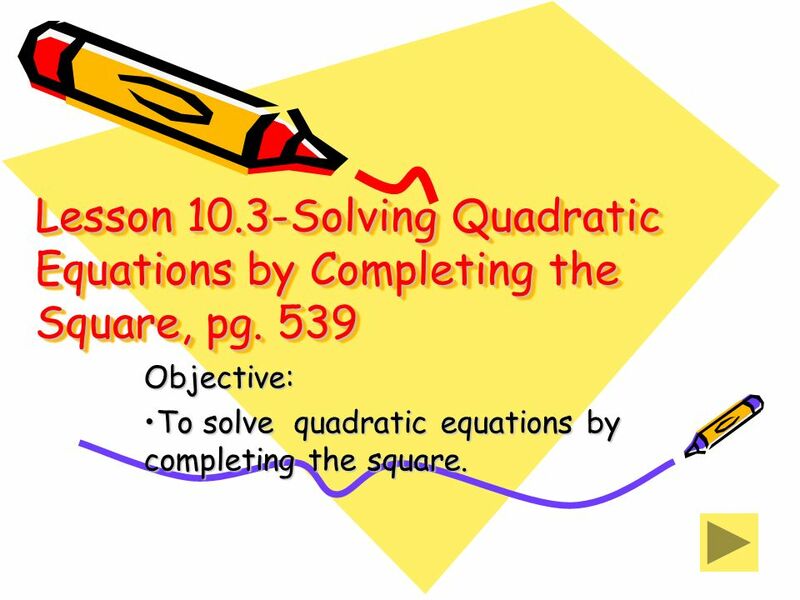 Download ppt "Objective: To solve quadratic equations by completing the square." 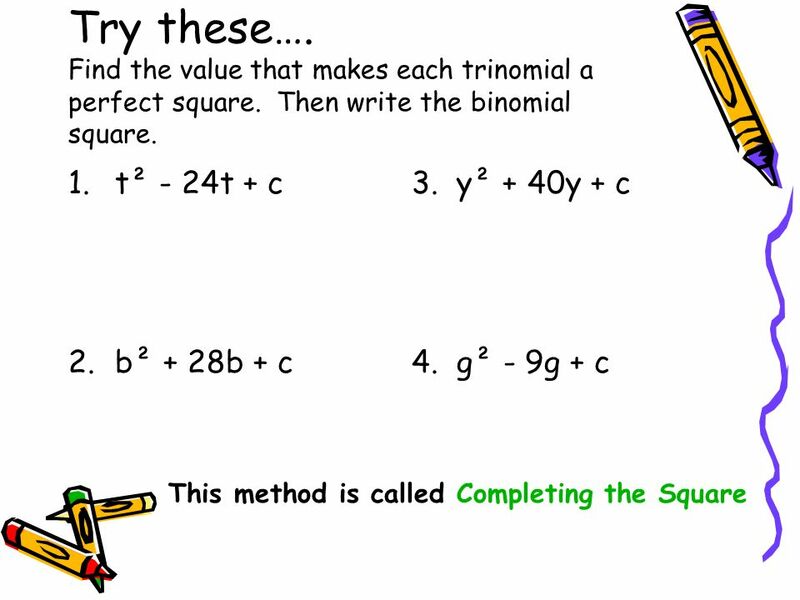 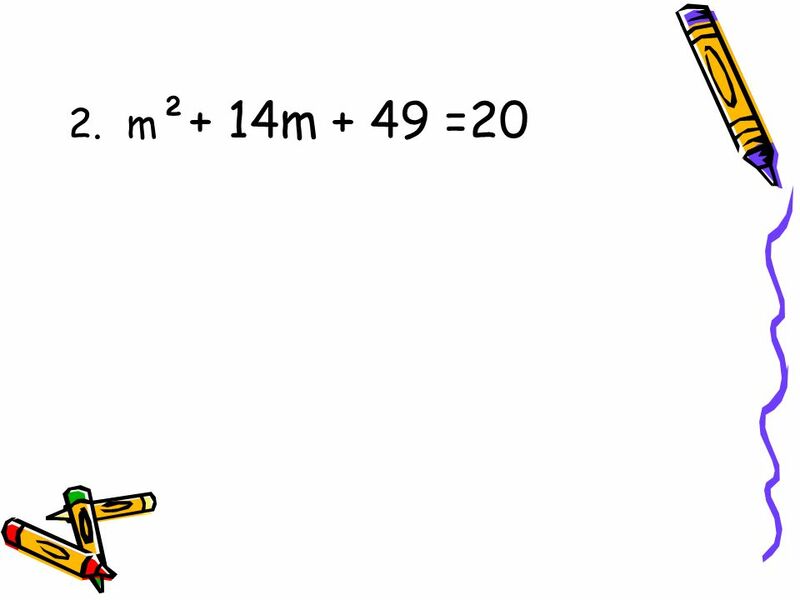 Aim: How do we solve quadratic equations by completing the square? factor using difference of squares.